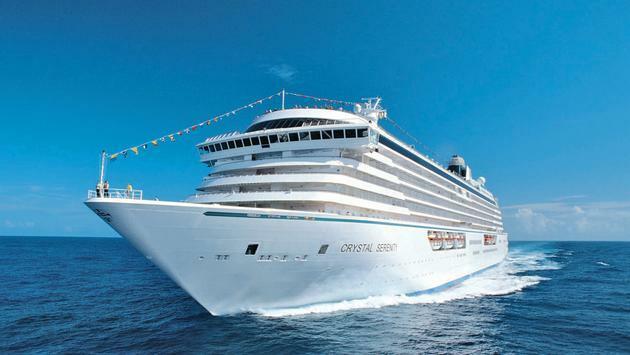 Are you ready for a new Crystal Cruises ship? Well, it’s not new, but after this redesign, you’re guaranteed to not even recognize this award-winning beauty. Here’s a sneak-peek into the renovations and everything new and exciting cruisers can start preparing themselves for, compliments of Crystal Cruises. Crystal Serenity departed Lisbon on October 14 with no guests on board, but was nonetheless a hub of activity upon pulling away from the dock. Immediately, workers sprang into action to give her the most dramatic redesign ever—and the countdown to her re-debut commenced. Verandah staterooms are being transformed into Seabreeze Penthouses while Penthouse Suites, Palm Court became a shell of her former self. Even the Seahorse Pool Deck became an active construction zone. Upon completion on November 9, Serenity will emerge with a sophisticated new look, including new chic decor. Cruisers can indulge their taste buds in new dining experiences and concepts guaranteed to take their palate around the world. Additionally, technological amenities will connect guests to all the facets of their Crystal Experience and the destinations they explore. So what isn’t changing? Absolutely nothing about Crystal Cruises’ unwavering commitment to Six-Star service and delivering unforgettable luxury travel experiences on board. For a sneak-peek video and more about Crystal Cruises and their Serenity redesign, visit their blog page here.